No matter your skin type, nothing is as important as prepping your skin properly in order for your makeup to not only apply smoothly and evenly, but keep it looking great throughout the day. Even if you won’t be wearing any makeup, it’s still important to follow your everyday skin care routine as normal. That’s the secret to keeping your skin looking the best it can be after all! The ultimate key to prepping my own skin is by making sure its hydrated. If it isn’t, my makeup doesn’t apply as well and any my dry patches, especially where I currently have any zits, are horribly emphasized. That’s why I strictly double-moisturize every morning with both a day cream and a serum. 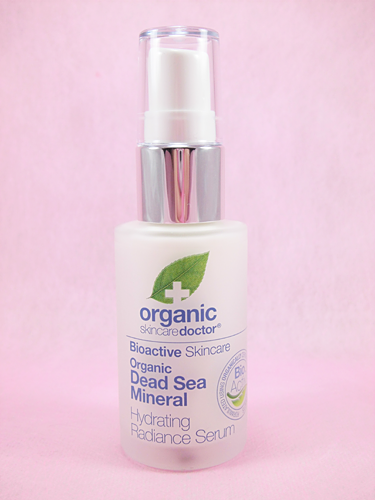 Since I’ve only quite recently started using serums for day use, I decided to pick up this Dr. Organic Dead Sea Mineral Hydrating Radiance Serum while I was in Guam back in November. For me, smooth, relaxed, and hydrated is exactly what my skin needs to be when I’m starting and getting ready for my day! The product comes housed in a frosted, glass bottle which holds 30ml or 1.1 fluid ounce of product. I think it’s a good amount of product for something that’s less than $20, especially since organic beauty products tend to be more pricey than their non-organic counterparts. I know a lot of people don’t consider beauty products encased in glass as very ‘travel friendly’, but the bottle itself isn’t that big, and with the added pump dispenser, plus additional cap on top – then I feel I can easily bring this along with me during trips, confident that there won’t be any spillage. The bottle itself seems quite sturdy too. I like the overall packaging of the product, box included. Simple things like color scheme can make a big difference with how attractive a product is, and that combined with the simplicity of the fonts used and minimalistic design makes me believe like this product is something worth getting. Does that make sense? The serum itself has a good consistency as it’s not too thick nor too runny. It also absorbs really quickly. Actually, the moment I start spreading and massaging it onto my face, it already starts sinking into my skin. Within a few minutes I feel like I can already apply the next product in my skin care routine (my moisturizer). I use a pump and a half each time, which is just right to cover my whole face evenly. The scent of this product is a little citrus-y almost. At least to me. It’s mild though, making it at least tolerable even if you’re not a fan of scented products. I don’t like citrus scents that much in the first place, so I’m glad it’s not that strong and it disappears once it absorbs. My thoughts? Well, the serum really does the job of hydrating my skin just right. It doesn’t over-moisturize, that’s for sure, as I haven’t experienced increased shine on my face whenever I use this. However, its effectivity just can’t keep up when my skin is feeling drier than usual. It’s a good serum and it’s definitely moisturizing, it’s just not moisturizing enough for those extra dry skin days I have every so often. As I mentioned before, my skin is a little temperamental, so sometimes my oily t-zone becomes oilier than normal, or my dry areas become drier than normal. When the latter happens, I still see some slight patchiness here and there, usually on my cheeks, after applying my makeup even though I prepped with this serum beforehand. My skin also didn’t seem any ‘brighter’ even after using this for nearly a month and I didn’t really feel it being ‘re-energized’ either. Safe to say I probably won’t be re-purchasing this, primarily because I need and prefer a product that can consistently moisturize no matter if my skin is being temperamental or not. However, since I do like it and as I said, it still is moisturizing and delivers just the right levels of hydration for my face, then I use this instead on days where I won’t be putting on any makeup as well as at night as part of my evening skin care regime. Temporarily makes my skin feel a little smoother after applying. 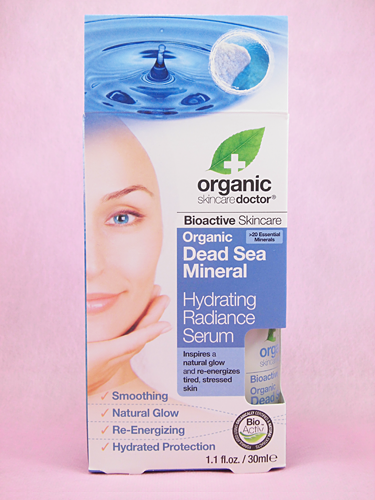 Ideal for sensitive skin and those who strictly use organic beauty products only. The pump dispenser with cap which makes dispensing the product controlled, hygienic, and lowers the risk of spillage. Not moisturizing enough when my skin is drier than normal. 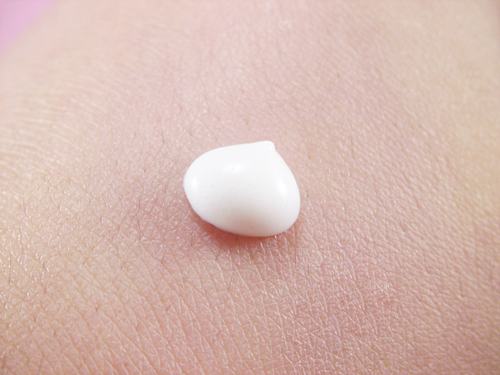 I still see dry patches on my skin when applying makeup. Didn’t see or feel any of its ‘brightening’ and ‘re-energising’ claims.